Max Frei (Макс Фрай) is the fictional author and narrator of Labyrinths of Echo (Лабиринты Eхо), a series of ten award-winning Russian fantasy novels written by Svetlana Martynchik. Labyrinths of Echo is now being translated into English. Here’s the Max Frie website and here’s Svetlana Martynchik’s blog (both in Russian). Labyrinths of Echo — (2009-2013) Publisher: The millions-selling fantasy epic of the new Russian literary icon-a freeloading freebooter who finds a new home in a magical world “You never know when you’ll luck out.” Max Frei’s novels have been a literary sensation in Russia since their debut in 1996, and have swept the fantasy world over. 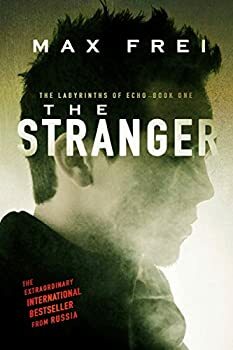 Presented here in English for the first time, The Stranger will strike a chord with readers of all stripes. Part fantasy, part horror, part philosophy, part dark comedy, the writing is united by a sharp wit and a web of clues that will open up the imagination of every reader. Max Frei was a twenty-something loser — a big sleeper (that is, during the day; at night he can’t sleep a wink), a hardened smoker, and an uncomplicated glutton and loafer. But then he got lucky. He contacts a parallel world in his dreams, where magic is a daily practice. 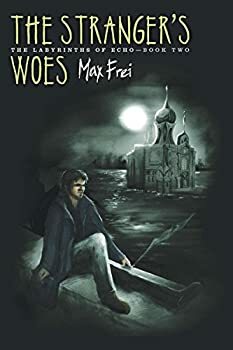 Once a social outcast, he’s now known in his new world as the “unequalled Sir Max.” He’s a member of the Department of Absolute Order, formed by a species of enchanted secret agents; his job is to solve cases more extravagant and unreal than one could imagine-a journey that will take Max down the winding paths of this strange and unhinged universe.